Book 3 materials explain six fundamental principles of ethics and justice which are necessary for civilization to exist, and offers practical advice for forming the virtuous habits necessary to live in true freedom. The principles are then applied to give systematic and logical arguments upholding the dignity and value of all human life. 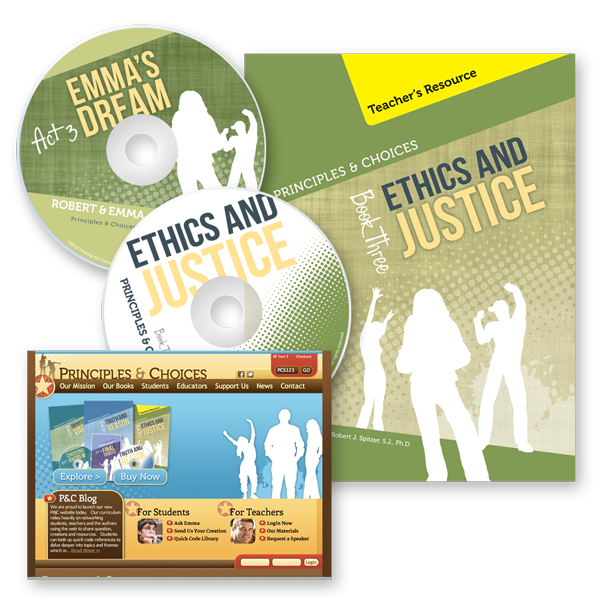 Includes teacher textbook; Robert & Emma Act 3 audio drama CD; PowerPoint CD with lecture notes; and one year FREE access to secure online teacher site. 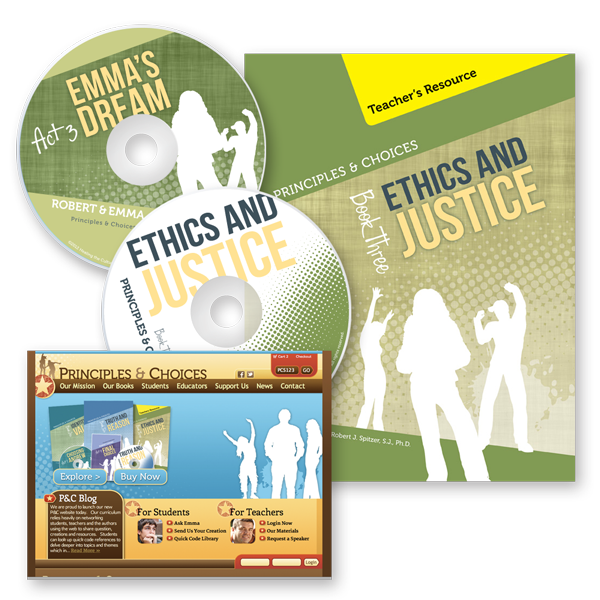 Teacher’s Resource Texts, including detailed daily learning plans, text notations, and Scripture and Catechism cross-references. Paperback, four chapters, 126 pages. Audio Drama on CD. Robert & Emma, Act 3: Emma’s Dream, professionally produced as an audio play. 30 minutes.